The Eurosolar device uses special UV-free red light to stimulate collagen production in a natural way and to ensure that you can see noticeable results in less than three weeks of regular use. 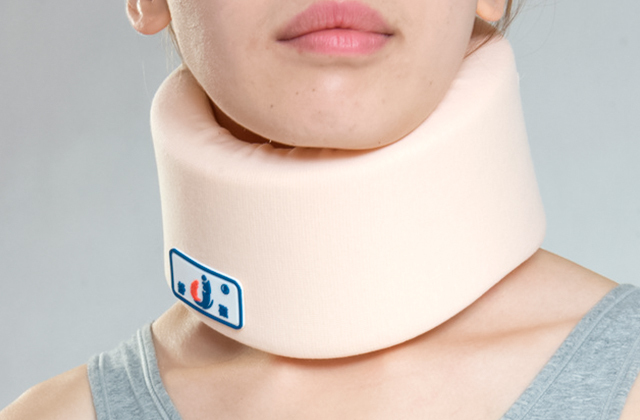 Thanks to a well-thought-out design, the device effectively reaches all areas of the face and neck. You will need to replace the lamps which might present some difficulty. With a clinically proven 97% success rate, the Eurosolar red light therapy device will prove useful to all those needing an effective tool to rejuvenate skin and to remove deep wrinkles on face and neckline in the quickest time possible. An obvious advantage of this model is that it can be used for tackling several skin issues by applying several colours simultaneously, which makes it suitable for people suffering from acne, wrinkles, enlarged pores, etc. The light colour housing splotches easily. This therapy machine produces light waves of different lengths, which provide a different effect. It will be effective to fight both the age-related changes and the adolescent acne. In addition, it will improve the skin elasticity. 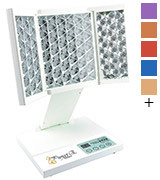 The simple control and convenient design will make your light therapy sessions pleasant and relaxing. Equipped with a premium glass ceramic plate, this heat lamp provides 100% UV protection, ensuring safe infrared radiation. It is also good for treatment and prevention of various diseases. A bit inconvenient to use on the knee area. This medically certified red light therapy device will prove useful to all people looking for an unorthodox means of treating colds and pains in muscles. After only a couple of sessions, you will feel noticeable changes in your health and well-being. 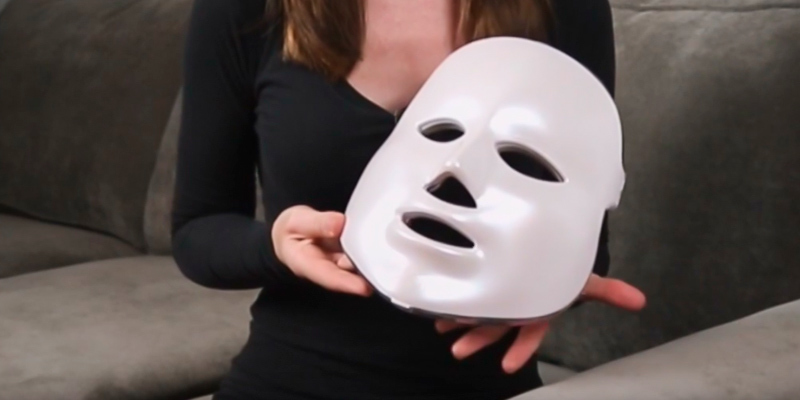 Designed in the form of a mask, the Beauty Star is super easy to use and extremely effective. Covering the entire face, it evenly distributes heat across the whole skin area to tighten skin, replenish cell energy, and improve various skin conditions. It is suitable only for face. With the Beauty Star at hand, you'll be able to tackle different skin problems, including age spots, in less than a month time. The laser light which penetrates deep into skin cells ensures optimum results and maximum comfort during each procedure. The configuration of this device enables you to treat the needed areas selectively, which makes this red therapy device very versatile. Glasses that come included in the kit are somewhat inconvenient to wear. Due to an ergonomically shaped design, the LuckyFine red light therapy device is convenient to apply to all body areas. It can effectively treat wrinkles, inflammation and many other skin conditions. Unlike "collagen creams," collagen lamps encourage collage production in a natural way, boosting multiple rejuvenating processes in the skin. By utilising red light, they help improve many different skin conditions and guarantee quick and long-lasting results. The Red Light Therapy Collagen Lamp from Eurosolar is one of those lamps the efficiency of which was scientifically grounded and acknowledged by therapists worldwide. With the committed use, this lamp is able to work wonders to your skin and it won't take you long to see first noticeable results. The Eurosolar Red Light Therapy Collagen Lamp emits the light with the wavelength of 633 nm, which means the colour it produces is close to red and pink. The wave this long penetrates deep into the skin (up to 10 mm) where it then transforms into a photosynthetic energy that helps collagen and elastin production, boosts skin oxygenation, and speeds up healing processes. Thanks to this, no other aid creams are needed and your own skin starts to produce collagen. But if combined with creams, the nourishing effect will be multiplied. It doesn't mean, of course, that this lamp will solve all of your problems during one night, but you should definitely see noticeable changes in your skin condition in about 3-4 weeks if you use it regularly for no less than 20 minutes a day. Tuberculosis. The specific activation of metabolic processes in a patient`s body leads to a serious disease recurrence. Eye disorders, which can make the eyes more sensitive to phototoxicity of bright light (including conjunctivitis). Skin diseases, which provoke increased photosensitivity. People who have porphyria or thyrotoxicosis. nutrition and oxygenation of skin. 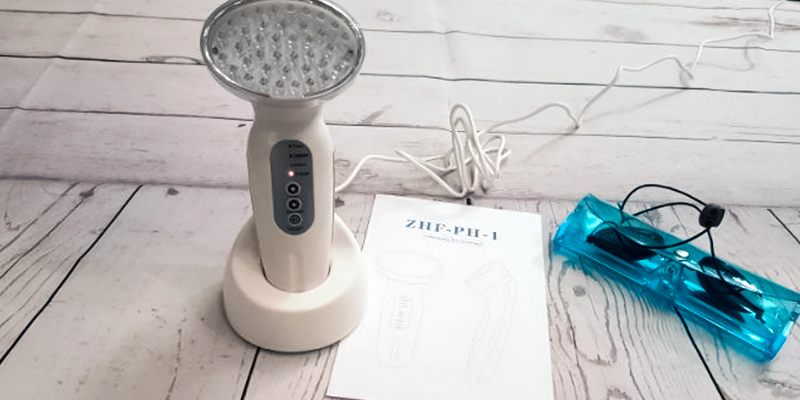 All in all, we would recommend this collagen lamp to all those people who have certain skin problems and need an effective remedy to improve their skin. With 97% success rate, this lamp will help you achieve noticeable results and improvements already in a month time. Though not a magic box, it's one of those lamps that not only claims but guarantees results. So if you aren't on a budget and wish to invest in your health wisely, the Red Light Therapy Collagen Lamp is the type of lamp that you won't regret buying. If you are looking for a lamp to treat several problems, the Mini Foldable PDT emitting red light, blue light, and yellow light wavelengths may be just the right one for you. 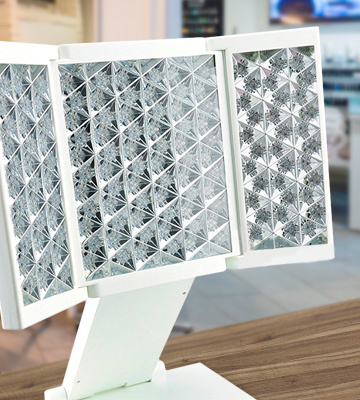 With this lamp, you'll be able to tackle quite a number of issues beyond those related to face care. Blue light, which has an antimicrobial effect, will help improve the immune sense as well as aid in curing such illnesses as liver cirrhosis, chronic pneumonia, myocardium, strokes, cardiac ischemia and some related to the nervous system. Ultra-red light will help smooth wrinkles and lines on the face and increase the skin elasticity. If used together with Blue light, Red light will help speed up self-healing processes by enhancing the antibacterial effect of blue light which may come in handy when treating wounds, for example, or bruises. Yellow light is best suited for treating such skin conditions as redness, erythema, shingles at an early stage, as well as lymphatic stasis and hypoxia of tissues. On top of that, Yellow light can help improve complexion and even out tone of your face. Well, let's consider various variants how you can use the Project E Beauty Mini Foldable PDT LED for your light therapy at home. As we've mentioned above, red light is best suited for fighting wrinkles, the yellow one is good for skin rejuvenation, and the blue one is great for treating acne. However, you can combine lamps and achieve even greater results. Thus, if you use blue and red lights together, you'll be able not only to treat wrinkles and lines on your face but also encourage healing processes, resulting in a more radiant and shiny look of your skin. The combination of blue and yellow lights will let you rejuvenate your skin and get rid of acne problem. The use of red and yellow lamps enables effective wrinkle removal and skin rejuvenation. 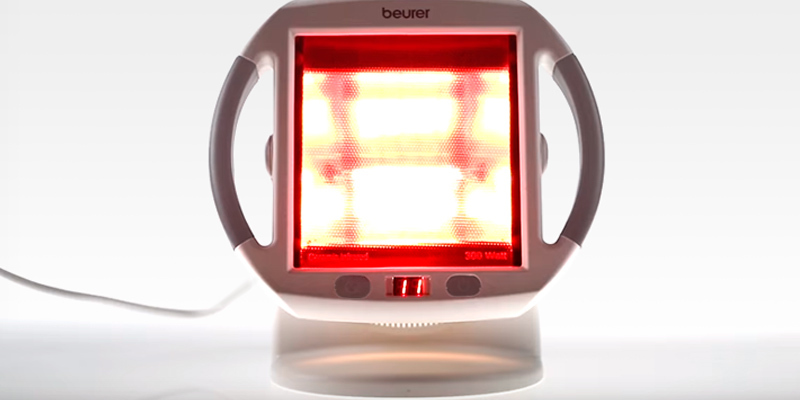 The Beurer Heat Lamp belongs to the medical-grade light therapy devices, which numerous therapeutic benefits have been proved by clinical studies. 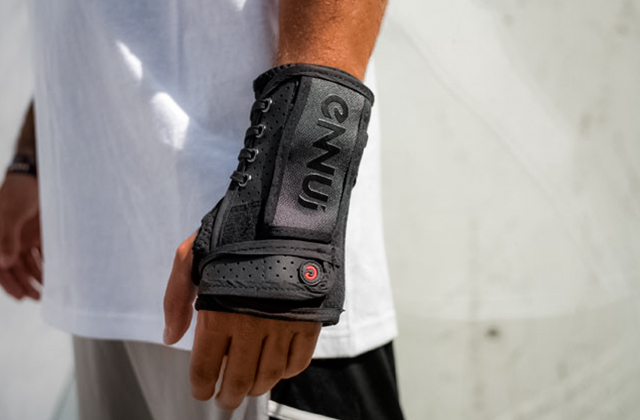 Meticulously designed by top specialists, the device enables quick relief of joint pains and muscle aches, helps cold symptoms and is also suited for face care procedures. 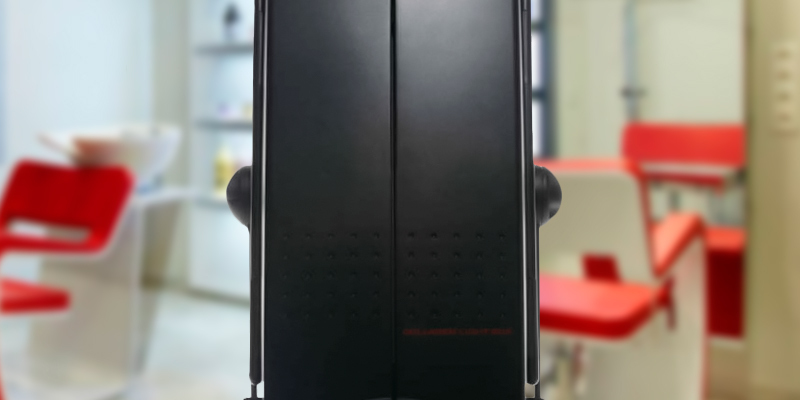 This red light therapy lamp is equipped with a high-quality ceramic glass plate that provides safe infrared radiation (within the wavelength range from 500 to 2500nm) with secure UV protection. Being highly efficient, the Beurer Infrared radiator is extremely easy to use: simply plug it in, place it on a sturdy even surface and adjust the tilting angle to target the area of discomfort and tension (note that to ensure maximum effectiveness and cover an extra large treatment area, a minimum distance between the lamp and the body should be 12 inches). Then select the session time you wish to use the lamp for yourself up to the recommended limit of 15 minutes. You can freely use this IR radiator on different body areas one course at a time. Thanks to a powerful cooling system and an automatic switch-off function, there is no danger of overheating. 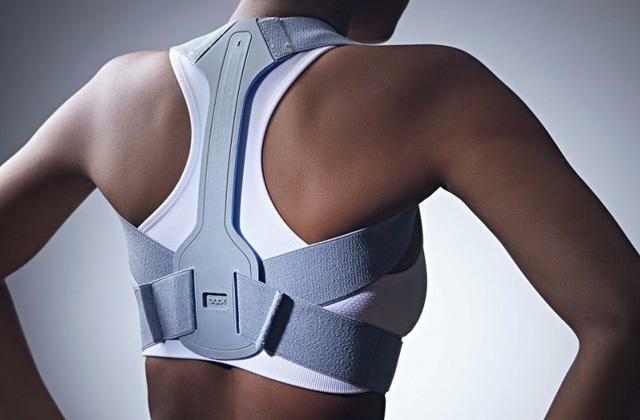 Treat your aches and pains with the power of light and heat safely and efficiently! 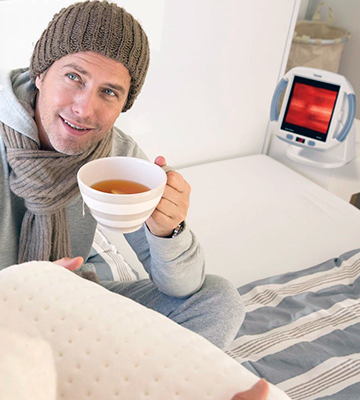 The Beurer device for soft home therapy is great to use at any time separately or accompanying some medical care. 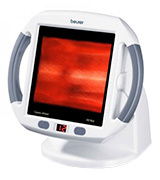 Infrared lamps are certified medical devices. You can be sure that with their help you will be able to improve your overall well-being. Infrared lamp from the famous and reliable German brand will definitely become an indispensable appliance for home phototherapy. The effect is based on the ability of an infrared radiation source to locally stimulate blood circulation. The Beurer North America is ideal for home use. This red light therapy device boasts truly proven effectiveness and is a multipurpose product which is suitable for people of any age. Infrared lamps are the number 1 choice for families with children and elderly people. A lot of customers have already successfully used this Beurer infrared lamp and recommend it to their friends and relatives. The secret of its popularity is the extremely high performance both in monotherapy and in the complex therapy using various procedures and medications. The next product we'd like to bring to your attention is the Beauty Star rejuvenating mask. 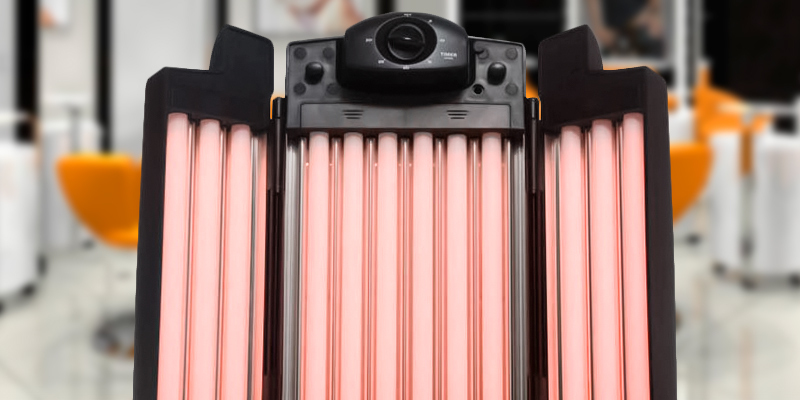 This one-of-a-kind product offers a big number of advantages over other red light therapy devices, which stands it apart from the competition. One of the things that make this phototherapy mask so popular among consumers is that it effectively combines rejuvenating properties and anti-bacterial properties of red and blue lights and that it also acts as a pigment corrector thanks to the green LEDs. 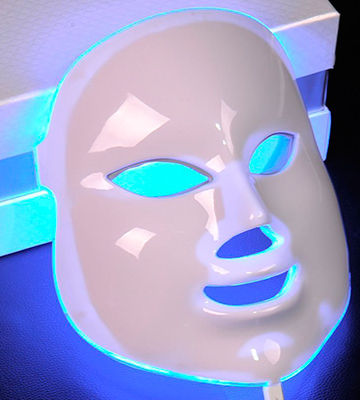 Because of this, therapists and cosmetologists widely use this LED mask for skin procedures in salons and spas. 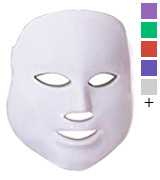 However, it is not an emergency mask that provides only a cosmetic effect. With regular use, the Beauty Star rejuvenating mask can help even severe skin conditions such as eczema, dermatitis, and even psoriasis. What else we like about this LED mask is that it allows for various applications. The manufacturer offers a big choice of lights which you can add to the mask depending on the type of therapy you need. Packed up with advanced technologies, this red light therapy device may become your best beauty expert making it easier to maintain the skin of your face healthy-looking and young. Being a relatively new method of skin treatment, photodynamic therapy has no flaws and counter-indicators and is safe virtually for everyone. Photodynamic therapy undergone on a daily basis will allow you not only to boost collagen production in the skin but also cure necrotic skin patches, improve cell energy, improve complexion and clear all signs of acne, wrinkles, and lines on your face. In addition to the aforementioned benefits of red light therapy with this mask, it finds wide application in dermatology and is especially useful in the postoperative period. Using this mask, not only will you be able to minimize wrinkles and lines on your face, you'll also be able to lift and improve your face contours, make the skin more elastic, and boost cell regenerating processes. Like with any devices, the manufacturers behind the Beauty Start mask do not claim that your skin will renew just like that. You will need to undergo at least a couple of sessions to be able to see changes in the look of your skin. 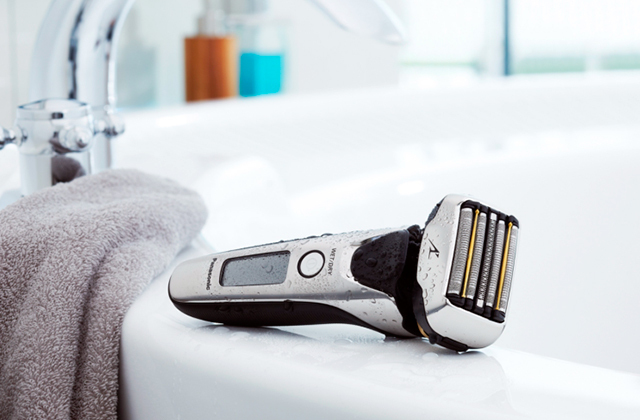 And with the regular use, you'll be able to completely transform your looks. If you aren't satisfied with the condition of your skin and look for a better (and cheaper, too) alternative to visiting beauty salons, consider purchasing the LuckyFine Therapy Machine, a photon therapy machine which can help tackle a lot of skin issues and imperfections. 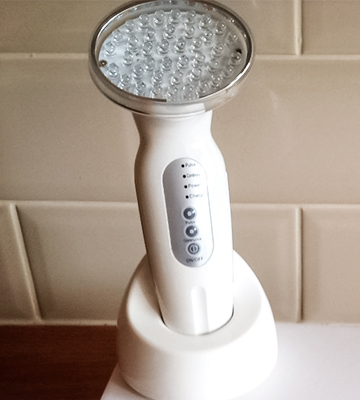 With this machine at hand, you will be able to save money on expensive spa procedures and to enjoy the benefits of deluxe-grade light therapy in the privacy of your own home. Furthermore, the device will help you get rid of unwanted pigmentation and skin oiliness, heal inflammation, narrow enlarged pores, restore skin elasticity and smoothness and reduce the number of wrinkles allowing you to liquidate all signs of faded and ageing skin. Exposing your skin to the wavelengths of infrared light, you'll help it to boost cell regeneration and collagen production so that it can start to restore and rejuvenate itself on its own without the need to undergo any additional expensive salon procedures. The LuckyFine Therapy Machine produces a red light spectrum which is ideal for mature and fading skin that needs stimulation. With the light wavelength of 624 nm, it will penetrate deep into the skin, encouraging restoring processes and stimulating blood flow to improve metabolism and enhance hydration of the skin in a natural way. Furthermore, such therapy will benefit those who have such skin problems as reddening, irritations, and inflammation. Aside from the healing effect, the LuckyFine Therapy Machine can help calm and soothe skin bringing down reddening and itching. Another advantage of LED phototherapy is that the first results can be seen already after the first procedure, no matter the skin issues you have. You should notice a visible lifting effect, improved complexion and skin tone levelling short after starting red light therapy treatments. Best of all, the LuckyFine Therapy Machine isn't too expensive, it is small and ergonomic and is easy to carry around. 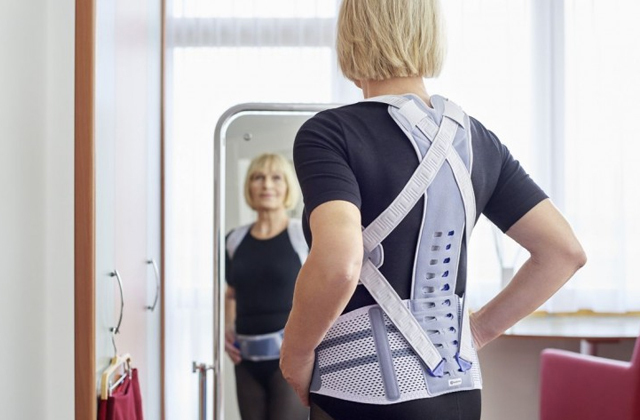 Unlike many models that need to be placed on a desk or some other surface, the LuckyFine Therapy Machine is handheld which means it can be applied to any part of your body that needs treatment. It feels lightweight in hand and it is very convenient to manoeuvre. The benefit of the photodynamic therapy method is quick visible results, in spite of a short exposure time. Phototherapy can instantly refresh the skin, giving it back a beautiful and radiant look. It also allows for removal of unsightly skin conditions and imperfections like itchiness, reddening, and all kinds of dermal irritations. A course of corrective procedures, in turn, can provide long-lasting results. The best of all, this therapy is absolutely safe and can be undergone by anyone willing to solve certain skin problems. Since the photon therapy doesn't provide any thermal effect and it's only light that it applies to the skin, even those who have very sensitive skin prone to various allergic reactions can apply it safely. One of the other benefits of photodynamic therapy is that it can be performed at home without a cosmetologist. The procedure is very simple and absolutely painless. All you need to do is make sure that you hold the lamp a few centimetres away from your face or other treated area and that your eyes aren't exposed to the light. The skin should be well cleaned and without makeup. While doing the procedure, you may feel a pleasant warmth covering the skin of your face, but you shouldn't worry, that's how the procedure is done. The duration of the session should be 15-20 minutes. If done regularly for the whole recommended period of time (3-4 weeks), it won't take you long to see the desired results. With all being said, we'd definitely recommend the LuckyFine Therapy Machine to people who need a safe and proven red light therapy device to use on all skin types, including delicate and sensitive. Requiring no learning curve at all, the LuckyFine Therapy Machine is simple to use even by those who've never had a photon therapy before. However, the best of all is that this device really works, in spite of its small dimensions and relatively low price tag. Infrared light is a type of electromagnetic radiation emitted by the sun. Though it’s invisible to human eyes, people encounter it in everyday life and feel it as heat. However, due to high radiation and UV levels, excessive exposure to the sunlight will rather cause damage than bring benefits. For this reason, red light therapy is gaining an enormous popularity in recent years. What is the red light treatment? It’s a non-invasive procedure that delivers infrared light to a human body by means of low-light wavelengths penetrating the skin. As a result, red light therapy helps improve blood flow, accelerate cells and tissues repair, and provides skin rejuvenating effect. Moreover, it promotes wounds and scars healing as well as alleviates arthritis pains, muscle aches, stabilizes blood pressure, and soothes the nerves. Today, you can find countless red light therapy machines on the market. But such a wide selection can be puzzling. To narrow your choice, we’ve picked 5 top rated red light therapy devices that will give you an opportunity to enjoy all the benefits of red light skin therapy at home! Stress and fatigue are unfortunately an integral part of a modern fast-paced lifestyle. Usually, we are too busy and do not have enough time to visit physical therapists or massage rooms. This is where massage chairs will come in handy. 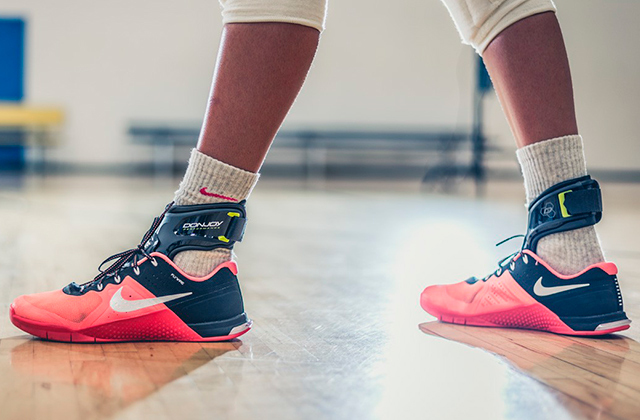 They will help you relax your body and shake off the stress to feel fresh and full of energy. 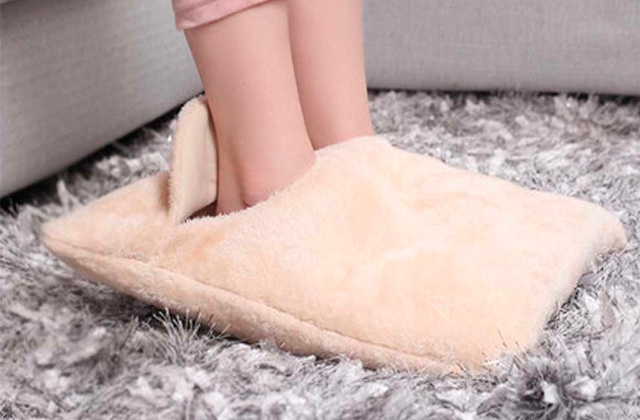 Meanwhile, with a foot massager, you can enjoy a relieving foot massage after a hard day at work or a long day on your feet. Infrared light devices are often used as add-ons in treatment of a wide range of skin diseases, purulent wounds, burns, and other health conditions. They are used in dentistry, surgery, and therapy. The healing effect of the red light has made these devices so popular that now a lot of people tend to have an infrared light therapy at home, rather than undergo it at a hospital. Warming up lamps have proved to be effective at treating many health conditions, including cold symptoms, various kinds of inflammations; they've also become a part of many cosmetic procedures due to the fact that they're able to improve skin elasticity, rejuvenate cells energy, and restore collagen production in a natural way; thanks to a good analgesic effect, red therapy devices are also helpful when it comes to all kinds of injuries and bruises. A lot of therapeutic procedures now use the healing infrared light as well. So how does the infrared light work? It helps vessel walls making them stronger and more elastic. 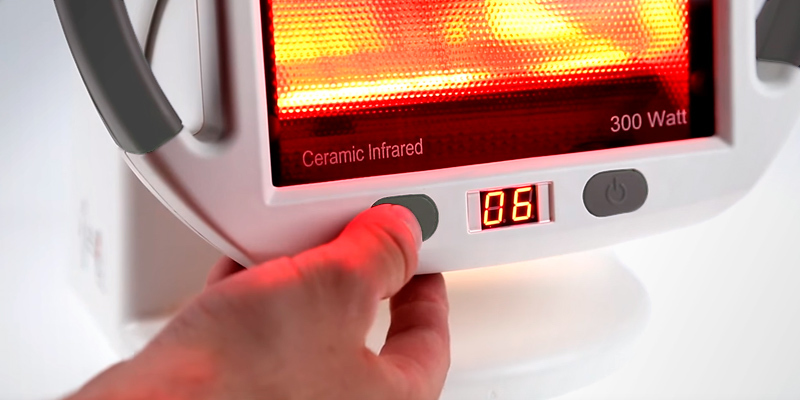 Infrared therapy lamps differ in power, a number of temperature modes, design, and the treated area. Most customers who are looking for a lamp to use at home search for models that aren't too big in size, light in weight, and convenient to hold in hand. The advantage to using handheld infrared lamps is that they are easier and more convenient to apply to different body parts. Not only that, they are also easier to transport and use on trips away from home. 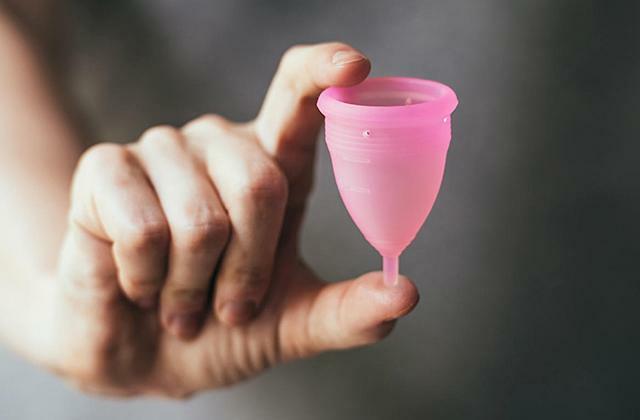 Although if you do not plan to carry the thing around with you, there are many stationary models that offer a lot more advantages. 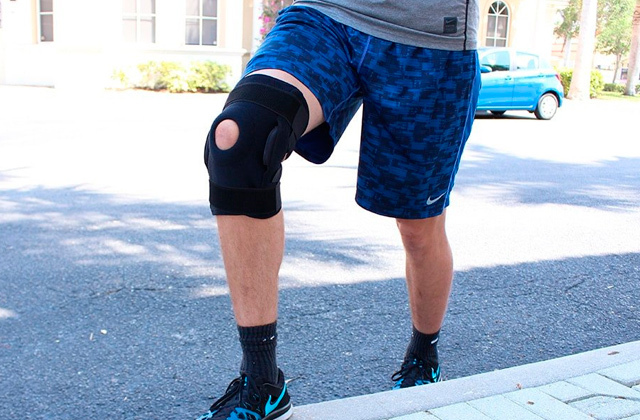 Once you decide on whether you need a stationary model or a portable device, the next thing to do is check the list of treatments the chosen model is suited for. And while most red light therapy devices come with instructions, it is still better to go consult a therapist to learn about treatment sessions that are best for you. Raspberry-red Light improves digestion and stimulates physical activity. As we've mentioned above, infrared heat is widely used in cosmetic procedures, which makes red therapy devices a great addition to a face care kit of anyone looking out for effective ways to prevent pre-ageing wrinkles, reduce pores, improve face complexion, etc. and to see noticeable improvements in their health in the shortest time possible. Light therapy is an effective method for treatment of depression. Also, it helps to restore the "biological clock" (circadian rhythm), which affects the human sleep-wake cycle. When Is the Light Therapy Used? It can be used all year round, however, according to the stats, a lot of people tend to undergo it in autumn when they experience seasonal affective disorder - one of the types of depression which usually occurs when the length of a day shortens and the amount of sunlight reduces. Light therapy helps compensate the lack of sunlight resulting in restoration of the normal sleeping pattern and most people feel relief already after a couple of light therapy sessions. Though not a cure-all solution, light therapy can help a lot of health conditions, fill your body with energy and bring balance to your mind. The effect of light has been studied for many years and it's been proved by scientists that it can heal and affect the human mood, mind and behaviour. Penetrating the body, the energy of light stimulates the pituitary gland and the pineal gland resulting in the production of hormones that are necessary for a variety of physiological processes. Which is why it comes as no surprise that even blind people who undergo light therapy can "feel" the light and its colour due to the energy vibrations which seep inside. When choosing clothes, furniture etc for your home or office, remember that the choice of colours is quite important as colours can greatly affect our mood and environment. For example, blue colour has a soothing and relaxing effect. Blue colour can effectively lower blood pressure and normalise heart rate and breathing. By surrounding yourself with blue things, you should be able to ease many pains and help some health conditions like insomnia, rheumatism, and inflammatory diseases. In addition to undergoing blue light therapy, physiologists recommend people who often deal with stress and irritation to add blue clothes to their wardrobes. Blue is the colour of peace and fidelity and its properties are close to therapeutic. Researchers believe the light therapy is especially beneficial to women. For one, since women are much more vulnerable to a seasonal affective disorder and a related depressive condition than men, light therapy can help them soothe and restore the normal cycle of life. For two, light therapy helps reduce symptoms of premenstrual syndrome. And for three, light therapy can help shorten long and irregular menstrual cycles giving hope to women who cannot have a baby because of that reason. Light therapy is one of the best ways to solve the problem of insomnia. Whether you work in night/day shifts or you often change time zones as your job requires, this may affect your health and lead to a disordered sleeping pattern. Light therapy will allow you to regulate the dark and light time of a day artificially so that you can get back to your norm sleep-wake cycle with less stress. Q: What is red light therapy? A: To put it briefly, the infrared light penetrates into the skin and repairs the damaged nerves and tissues. This is a very effective method that can rejuvenate your skin, reduce blemishes and soothe your body pain. Q: What does red light therapy do? Q: What are the benefits of at-home red light therapy treatment? A: Red light therapy can regrow your hair and reduce wrinkles, improve your joint and musculoskeletal health, reduce depression and fatigue. It also aids in wounds healing and tissue repair and, of course, it helps increase your immunity and overall well-being. 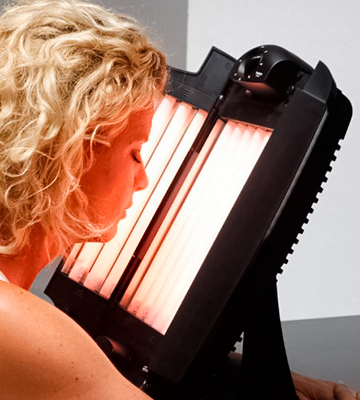 Q: Does red light therapy really work? A: Yes, definitely. The effectiveness of this therapy has been proven by tons of studies all over the world. Q: Is red light therapy safe? A: Again, yes. 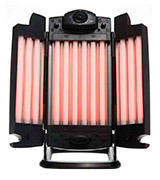 The infrared light the red light therapy devices produce is totally UV-free. Q: What are the side effects of red light therapy? A: The light therapy stimulates metabolic processes naturally has no side effects at all. Q: Can red light therapy aid in acne treatment? 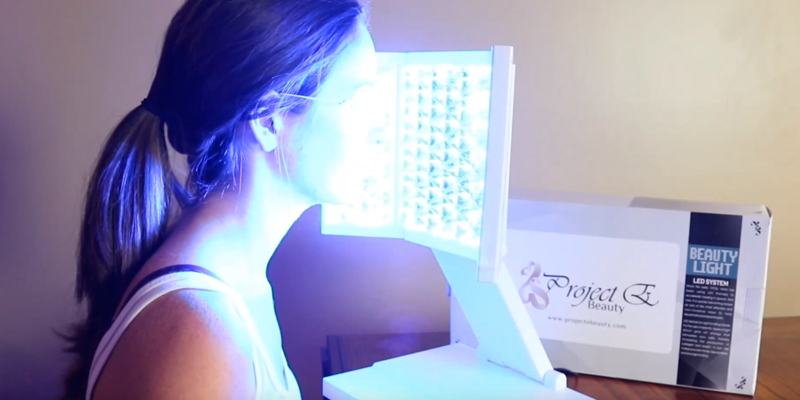 A: Yes, all red light therapy devices have been FDA approved for acne treatment as well. The red light reaches the sebaceous glands and kills acne-causing bacteria. Moreover, post-acne scars can fade in just two weeks of red light treatment. The therapy is also very effective for other skin disorders. Q: How many times per day can I use red light therapy devices? A: Twice per day would be perfect. However, keep in mind that using red light therapy devices for too long might reduce the effectiveness of the treatment. So, follow the instructions that come with a device to find a “sweet spot”. Q: Can I use a red light therapy machine on a sensitive skin? A: Yes! All red light therapy products are approved for all skin types. 1. Josh Axe Red Light Therapy Benefits, Research & Mechanism of Action, Dr. Axe. 2. Light therapy, Wikipedia. February 25, 2017. 4. Meital James 21 Proven Benefits of Red Led Light Treatment, JustLuxe. May 15, 2012. 5. Rhonda Rovan Is Red Light Therapy Safe?, Best Health. 6. 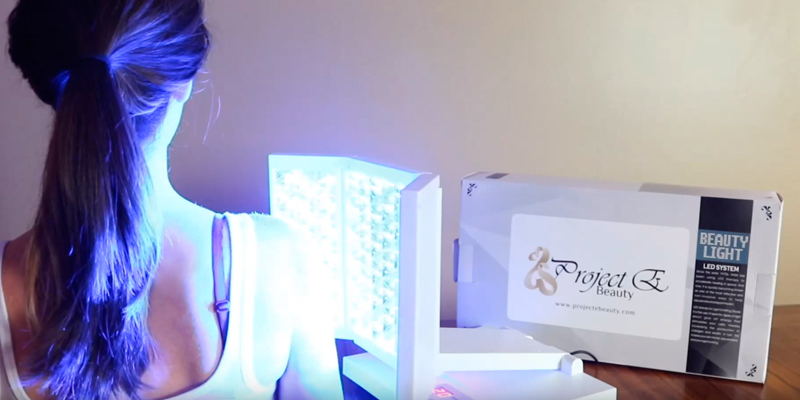 Alina Gonzalez Does LED Light Therapy Really Improve Skin? I Put It To The Test, BYRDIE. January 28, 2015. 7. Marlynn Wei 10 Tips to Get the Most Out of Light Therapy, The Huffington Post. January 17, 2017. 8. Cara O`Neill LED Light Therapy for Skin Careby, LIVESTRONG.COM. July 18, 2017. 9. Is light therapy REALLY the secret to a flawless complexion? We test the blue LED treatment that promises to rid you of breakouts for good - with impressive results, dailymail.co.uk. March 28, 2016. 10. 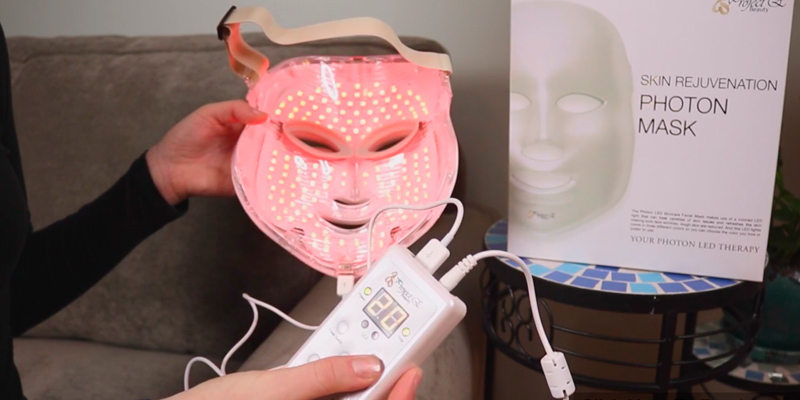 Grace Gavilanes Editor-Tested: Do LED Light Facials Really Work? InStyle. February 1, 2015. 11. Low-level laser (light) therapy (LLLT) in skin: stimulating, healing, restoring, NCBI.